Announcing the biggest sale Kugel Memborabilia has ever offered! Starting Cyber Monday November 26th – Friday November 30th I’m looking to put my unique geek art and other items in your hands for the holiday season. Hurry, supplies are extremely limited. Save up to 50% on some of the coolest products I’ve made. The last 5 computer processor desk art frames in stock. This is your last chance to get one of these for the year. Choose any processor for $45 + $6 shipping and handling. 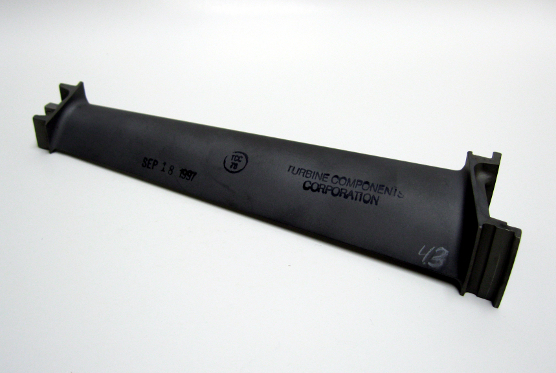 Dimensions are between 3 1/4″ and 3 1/2″ square. 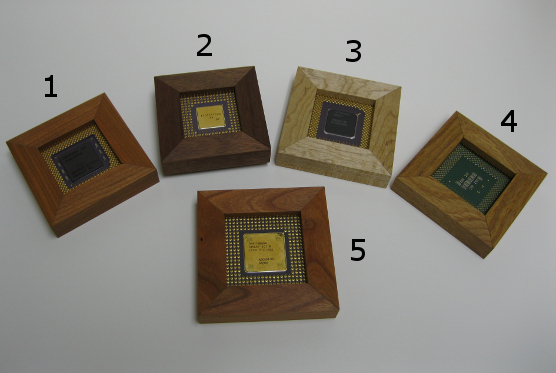 If you’re not familiar with my framed processors here’s the scoop in a nutshell. As a geek I’ve collected these processors for years but never had a good way to show them off so I created these clever frames to hold the processor. They stand up so that you can view the front or the back, or lay down as seen in the pictures. 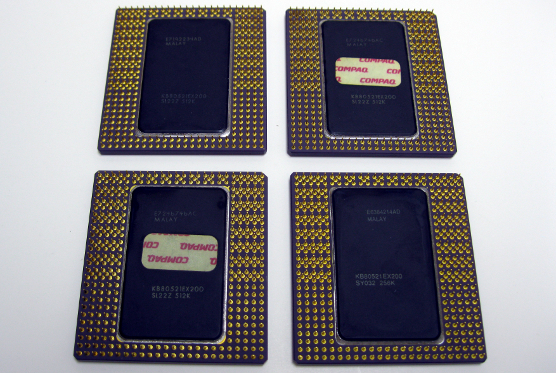 Marvel at all of the gold pins on the back or enjoy the front of these processors that date back to the early 1990s. Each frame is meticulously hand made and sanded to a smooth finish you have to feel to believe. I made very few of these so this will truly be a one-of-a-kind gift. 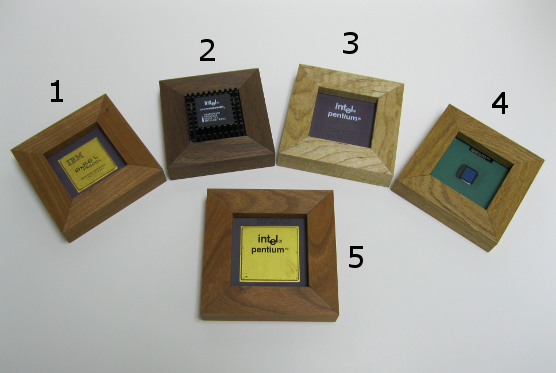 Frame # 1 is made of cherry, frame # 2 walnut, frame # 3 hard maple, frame # 4 white oak, frame # 5 cherry. True geeks will notice the wood grain in #2 creates the perfect outline of the Windows flag logo. It happened on pure chance. It’s my most prized piece. If you’d like to make a purchase, email your request to me at brian@kugelmemorabilia.com. First come first serve. If I still have the item in stock I’ll send you a PayPal invoice to your email that will allow you to pay me securely with a credit card through PayPal even if you don’t have PayPal. I will do my best to email you back quickly so that you know if the item you’ve requested is still available. I’ll also update this page as needed too. 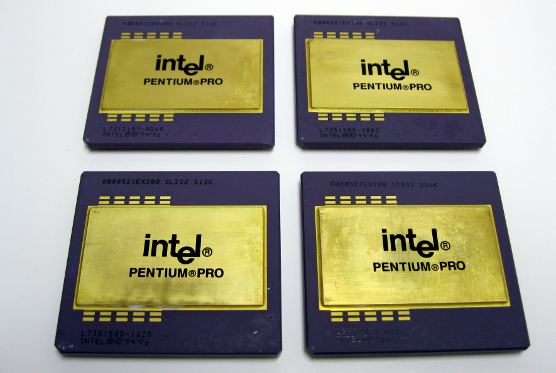 Get your hands on an unframed Intel Pentium Pro processor. The largest gold covered processor that Intel made. $40 + $6 shipping gets one these in your hands. You won’t believe how heavy they are! 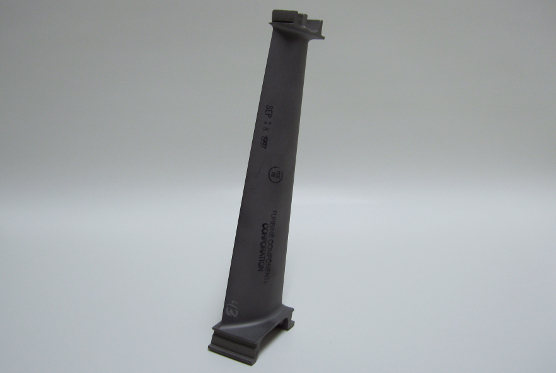 Dimensions are approximately 2 1/2″ x 2 5/8″.